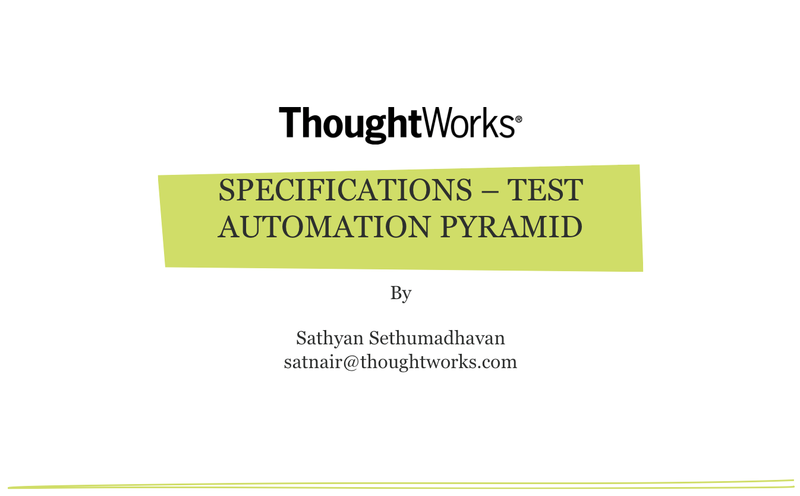 “Specifications (with examples) – Test Automation Pyramid” is a set of process patterns and tests pyramid that helps teams to evolve and maintain specifications for an enterprise product. For enterprise projects, maintaining automation tests suite is always a challenge. Detailed walkthru of automation pyramid containing different types of specification driven tests layer.